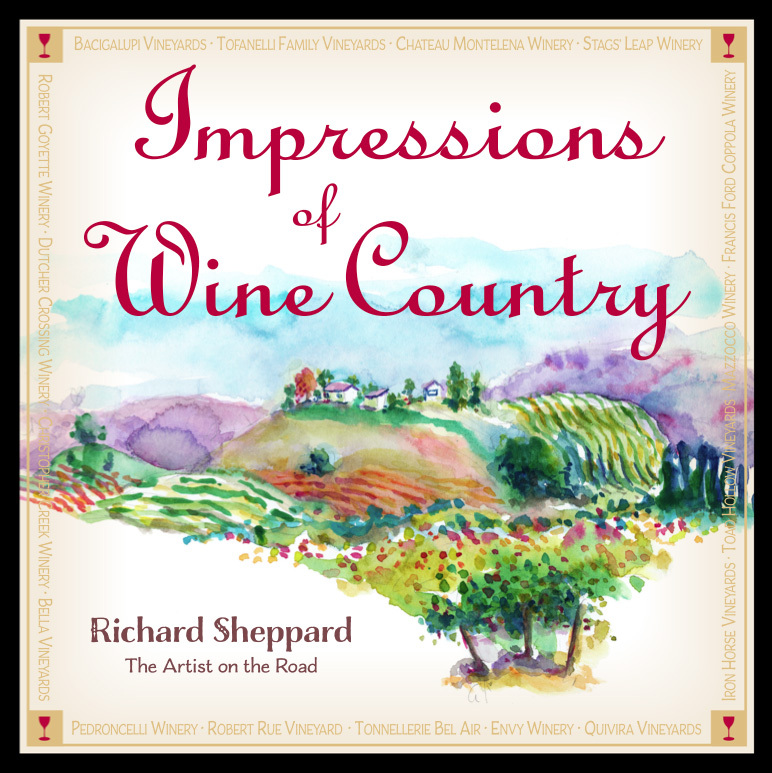 I am proud to announce the publication of my new book, “Impressions of Wine Country”. In this book, I talk with a number of winemakers and grape growers to uncover the artistry of viticulture and viniculture in this unique area of the world. It is both a story of how wine is grown and crafted from the vine to the glass and a picture book containing over 170 of my watercolors (drawn mostly on location). Travel with me as I explore the seasons of the vineyard in Northern California. October 28, 2015 Richard SheppardComments are off for this post.